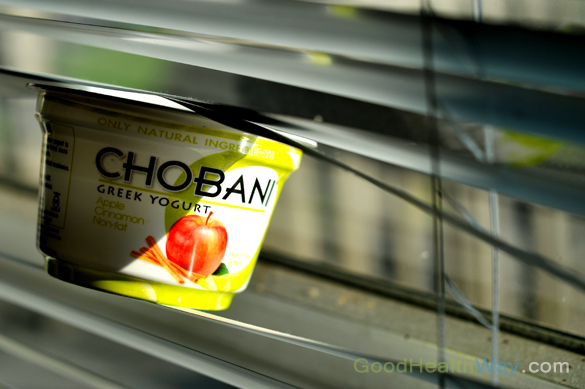 Chobani, a relatively new brand of Greek yogurt started with several standard flavors such as strawberry, blueberry, vanilla and other flavors. The apple cinnamon is one of their new flavors, and a good one. As usual, just their version of Greek yogurt has a great taste. Mix up the fruit on the bottom, which is not over sugared, and you have a great healthy yogurt. 6oz container. The apples are crisp and the cinnamon isn’t overpowering. A lot like a home-made apple pie Greek yogurt. A good for you yogurt.